This seersucker set is perfect for a lazy weekend morning. 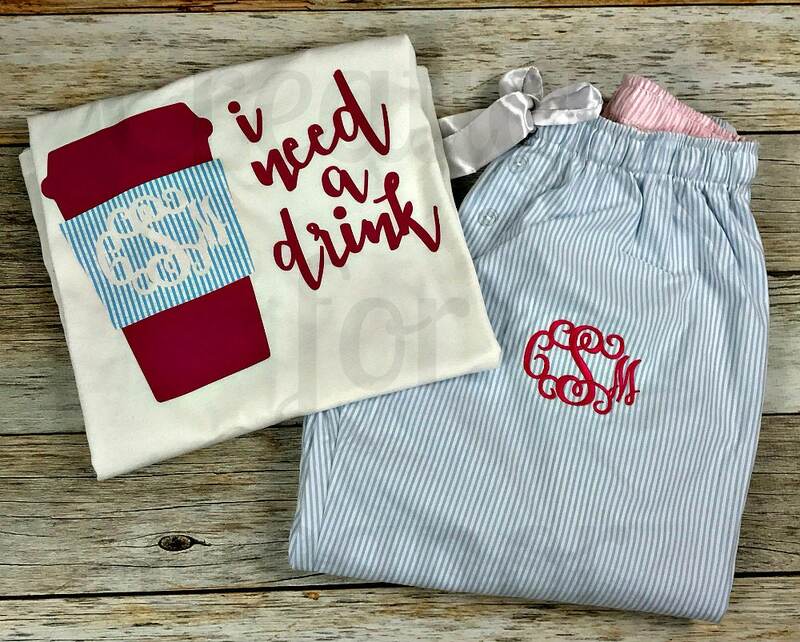 Tshirt is printed with a seersucker "coffee sleeve" and monogram to coordinate with the pants. These pants are perfect for lounging, hanging out in your dorm or sleepwear. These pants also make a great gift for your bridesmaids. Pants have front accent pocket, stylish cuff, 2 button false fly, and a satin tie. The waistband has a contrasting pattern. They are made from 100% cotton. Tshirt is a white unisex fit short sleeve shirt. 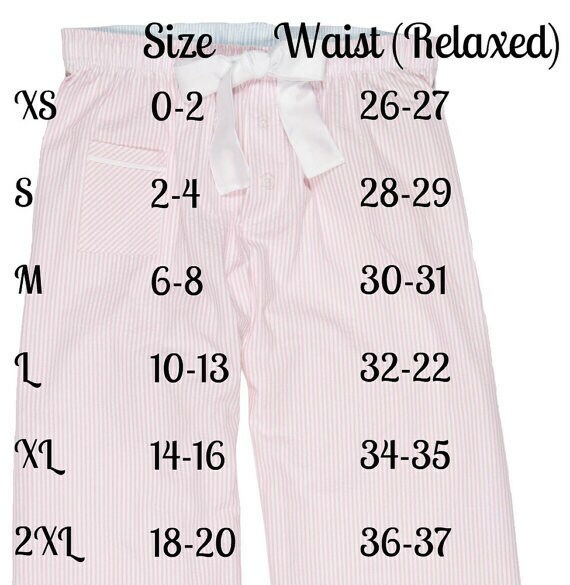 Unless otherwise stated it will be the same size as the pants. Any of our other images or vinyls shown in last picture can be used. 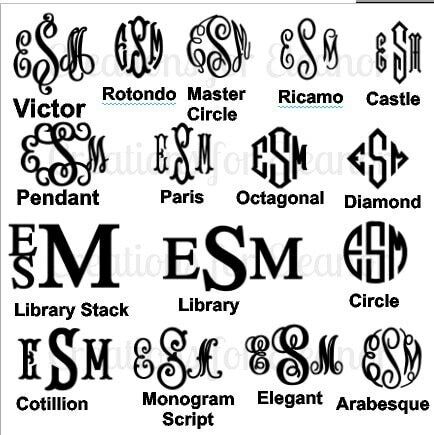 Font choices are listed, please make sure to indicate your font choice, initials in order first LAST middle and also the color for the cup. 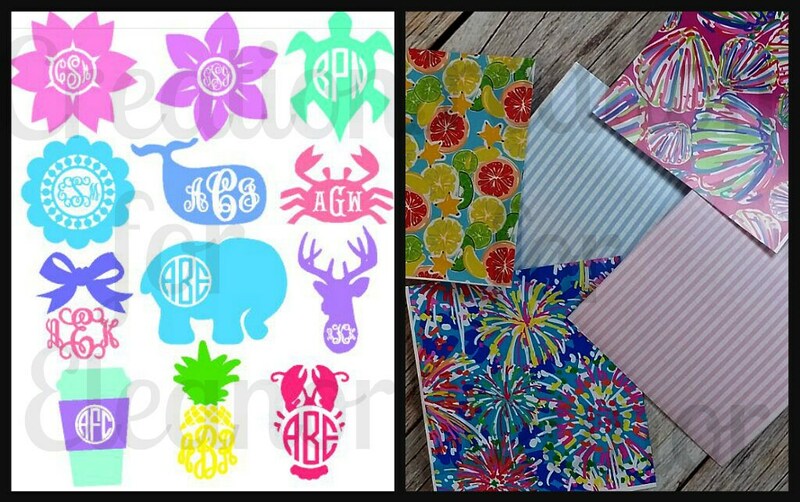 Pants will be monogrammed to match the cup. 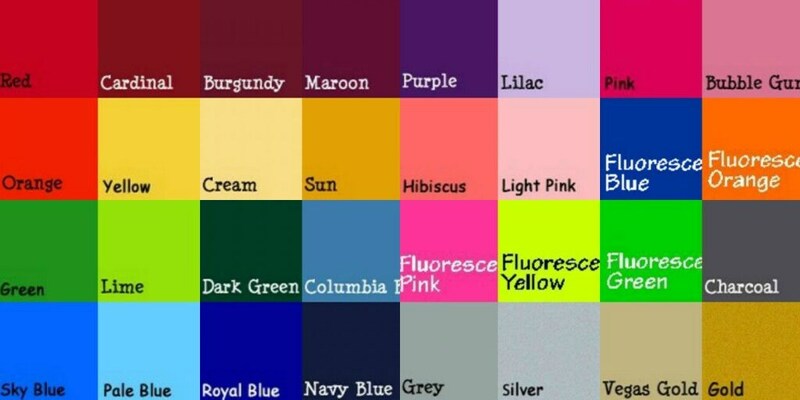 If you have any questions regarding sizing or order combinations please message us before ordering.